The hardest of life cycle moments are those related to end-of-life. Temple Akiba offers support for those nearing death, those who have passed away and for their loved ones. Our clergy and staff provide comfort, end-of-life blessings, spiritual guidance, and assistance with mortuary and cemetery arrangements. Rabbi Shapiro is also available to officiate at funerals, to lead shivah minyan services at family homes, and to officiate at unveilings. Temple Akiba houses a memorial chapel, the Sue and Jerry Urfrig Family Memorial Room, within the sanctuary to spend time and remember loved ones who have passed. 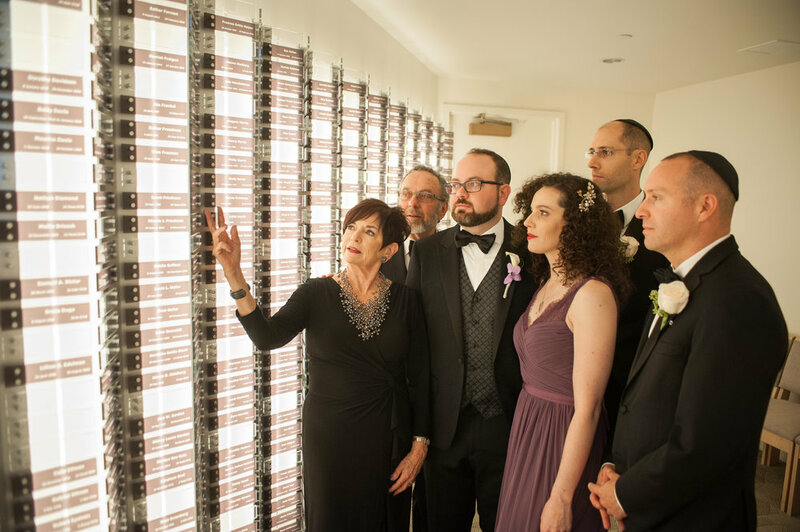 We recognizes our loved ones by placing stones by their names each week during their Yahrzeit. Temple Akiba helps its members build emotional strength through group healing. This group deals with bereavement and/or changes in relationships, career, social, family and health issues. We welcome you to build emotional strength by sharing your feelings with others in a supportive and confidential atmosphere. Contact Temple Akiba or call (310) 398-5783 for more information.